Talk to other Am I Hungry? participants or licensees. Information about Am I Hungry? Type in your city, state, or other keyword below to find an Am I Hungry?® Licensee in your area. Welcome! This Member Portal provides mindful eating resources, tools, news and an online community for our participants in our mindful eating programs. Welcome! Mindful Eating workshop facilitators, coaches, and therapists may use this Member Portal to provide mindful eating resources, news, and program information. You may also share ideas and best practices with other licensees. Visit http://AmIHungry.com to read articles, find out about our workshops, buy books, CDs and DVDs or arrange a keynote by Dr. May for your organization. explore mindful eating, yoga, and vibrant living! This retreat weaves together the Am I Hungry? mindful eating approach with yoga techniques to give participants a greater connection to their body, mind, heart, and spirit. This retreat offers classes for all levels of yoga practitioners – those who are early in their practice of yoga, those with an experienced practice, and yoga teachers. Candy and cookies and pie – oh my! Candy, and cookies, and pie! Oh my! And stuffing, and gravy, and bread. Oh my! And baking, and parties, and drinks. Oh my! For people who have a love-hate relationship with food—you love eating it, but hate struggling to control it—the holidays magnify the conflict—and even fear—you cope with all year long. It reminds me of the classic story, the Wizard of Oz. Are you following the Yellow Brick Road? We are told that if we just follow the yellow brick road (the rules of various diets and plans) to the Emerald City, we will meet the Wizard of Oz and our wishes (for health, beauty, acceptance, and happiness) will be granted. Along the road, we come across many others who also feel that they are missing something they need to be happy and whole. We skip along the narrow path together, carefully avoiding the lions, and tigers, and bears. Oh my! If/when we reach the Wizard, he sets the bar even higher, requiring us to bring back the broom of the Wicked Witch (it wasn’t good enough just to get here, now we have to maintain the discipline and willpower indefinitely). We are so determined to reach our goals that we venture out again, despite the scary witches and flying monkeys we encounter (deprivation, cravings, overeating, bingeing, and guilt). The entire Emerald City (Diet Culture) cheers us on while we battle wicked witches and flying monkeys. We become so focused on maintaining our willpower, avoiding all the “bad” foods we encounter, and counting and logging food and exercise, that we forget that our intention was never to be the very rare hero who conquers diet-land. Our intention was to go home again. At some point, most of us begin to suspect that the “wizard” is a sham and doesn’t really have any special powers. We also realize that the diets and plans we desperately followed don’t provide the lasting results we hoped for. And they certainly don’t take us home. At first we blame ourselves, so the road becomes a frustrating, endless spiral—the never ending eat-repent-repeat cycle. Like Dorothy, you may need to be reminded that you always had the power within you—the power to make decisions about your eating without rules and restriction—and that your heart’s desire was inside you all along! Giving up the fantasy of finding a Yellow Brick Road that will finally solve all of your problems may sound scary, even impossible. But remember in the story, Dorothy splashes the Wicked Witch with water and she simply melts away. In the mindful eating journey, this is the surprising effect that learning how to give up restriction has on your relationship with food! What was once so scary—candy, and cookies, and pie—simply lose their power over you. Mindful Eating is an Amazing Journey! Do you have a bucket list trip? My husband and I just returned from ours—the Tour du Mont Blanc (TMB for those who go)—eleven days of hiking through France, Italy, and Switzerland as we circumnavigated Mont Blanc, the highest peak in the Alps. It was even more challenging than I expected and more gorgeous than I anticipated! Reading about it is nice, but there’s nothing like doing it. I saw a 30 second video on Facebook and that was enough to trigger an internet search for more information about the TMB. Before our trip, I enjoyed reading about it and looking at photos, but I couldn’t comprehend what an amazing experience it would be until I actually did it! You need a guide, or at least a detailed map. There were plenty of times when the trail was well-marked and others were hiking in the same direction. It was when we met a fork in the road, or rocks obscured the path, that having an experience guide or a detailed map was essential. Our expert Alpine Treks guide not only led the way, he sometimes took us off the beaten path to discover trails and scenery we would have missed on our own. Mindful eating application: Some of the concepts are simple and easy to apply but knowing what to do when inevitable challenges come up makes all the difference. In Am I Hungry?, our map is the Mindful Eating Cycle and the specific skills that go with each decision point. This detailed map guides you through this entirely new thought process and teaches you how to navigate the many obstacles that arise in our complicated relationships with food. In addition, you may have a trained facilitator, coach, instructor, or therapist to guide you. Training: You can’t get there from here. We hike regularly in the South Mountain Preserve in Phoenix near our home, one of the largest city parks in the world, but that wasn’t nearly enough to prepare us for six to eight hours of hiking every day (and 390 floors one day!). Despite that, the hiking felt a little easier each day due to the natural on-the-trail-training that occurs as you hike day after day. Mindful eating application: Mindful eating is unlike any diet or program you’ve tried before. At first, it’s tempting to apply diet-thinking to this process (I should only eat when I’m hungry; I must stop when I’m full), but you soon realize that only drives the eat-repent-repeat cycle. And unlike dieting, which typically gets progressively harder, mindful eating because more natural with practice. Sorry; there are no shortcuts. There is a tunnel under Mt. Blanc that links Chamonix, France (our starting point) and Courmayeur, Italy (our midway point and rest day). It is 11.6 km (7.2 miles) in length and takes 17 minutes to drive through. But that’s not the point. Mindful eating application: Mindful eating is sometimes co-opted to promote weight loss or turned into a series of rules (chew each bite 32 times; never eat in front of the TV), but that completely misses the point. Mindful eating is an inside-out approach that rebuilds trust in your own wisdom and ability to make decisions in each moment, no matter what shows up. It is easy to focus on the future (How many miles today? How high are we climbing? When is lunch? ), but the journey unfolds moment by moment. By focusing on what’s ahead instead of what’s now, you don’t experience the hike, you just anticipate it. Mindful eating application: This is probably the most important difference between everything you’ve done in the past and your mindful eating journey: Most diets and programs are outcomes-oriented (How well did I follow the rules? How much weight did I lose this week? ), whereas mindful eating is process-oriented (What am I noticing? What am I learning?). Instead of compliance, you cultivate curiosity. For most of the trip, our group included seven hikers (and a guide), two who were always at the front of the pack and two of us at the back. That doesn’t mean some of us were hiking “better,” just differently. Some of our fellow hikers had hiked Kilimanjaro and learned the phrase “Pole pole” (pronounced pol-ay) from their guides: Slowly, slowly. Take your time, pause for rest, take pictures of the wildflowers, enjoy the journey. At the end of the day, we all ended up in the same place. Mindful eating application: Some people “get” mindful eating quickly, while others take a little longer. There is no right way to “do” it! Go at your own pace and try not to judge or compare yourself to others. I found it interesting that our guides never really told us what to expect each day (except the weather, so we’d know what to wear). We just started out and allowed the journey to unfold naturally. On the really challenging days, we didn’t waste time worrying about the climb ahead; instead we were continuously surprised and amazed by the incredible rewards at the top of each long ascent. Mindful eating application: People often worry about whether they are doing it “right” and when (or whether) it will all come together. I just say, “Trust the process” because we’ve watched it fall into place for countless participants over the last 19 years. You are doing fine, and as long as you are observing and learning, you are doing it! The last half of our first day of hiking was an incredibly long, steep downhill walk. I had worried about the uphill climbs, but I didn’t anticipate the pressure the downhills would place on my 55-year old knees. By the end of that day, I was concerned that my dream trip was over. The guide assured me that this was a common problem since it was a completely new experience for the body. I bought an elastic knee support, applied topical creams, took ibuprofen, relied on my poles, and by day 4, my knees were fine. I was so glad I didn’t give up! Mindful eating application: Mindfulness guides you to become more aware of your unexamined thoughts, beliefs, feelings, and actions. I’m not going to lie—this is new so it may feel uncomfortable. It is understandable that you might be tempted to give up and return to the familiar: Habitual mindless and emotional eating and compensatory dieting. However, mindfulness also guides you to notice the discomfort and feel curious about it, rather than trying to push it away. In place of judgment and immediate gratification, you learn to feel compassion for yourself as you practice new self-care behaviors. Wow! The scenery, the food, the company, the food, the beer, the food… Between the challenges, this adventure was just so much fun! I ate the best nectarine I’ve ever had after hiking eight miles up a steady incline, and each evening was a community meal perfect for sharing our experiences from the day and our pasts (not unlike our Mindful Eating Retreat meals!). Mindful eating application: This one is pretty obvious – food just tastes better when you eat it mindfully. What might not be as obvious is how delicious and satisfying that food is when there is no guilt or punishment coming! Eat what you love, love what you eat! You will be forever changed! We began our hike in Chamonix, France, and eleven days and 110 miles later, we concluded our tour in Chamonix. I was in the same place, but I was not the same person. And it was never about the hike either. Michelle May is a physician and recovered yoyo dieter. 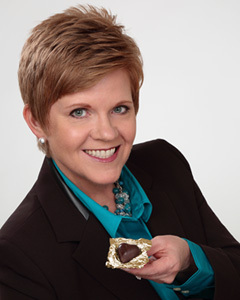 She founded Am I Hungry?® to provide an alternative to restrictive and ineffective dieting. Charlene is a journey of mindful health and self-care with Am I Hungry? Alyx struggles with her weight and is relearning to eat instinctively with Am I Hungry? Lexie learned how to trust her body again with Am I Hungry? When you know better, do better! I can't eat what I love without overeating! What is the difference between Am I Hungry? and intuitive eating or HAES? Mindful Eating with Health Issues: What If I Can’t Eat What I Love? A Diet by Any Other Diet is Still a Diet! Set your intention to retreat with us! What if We Aren't Craving More Food? How Long Does It Take to Learn to Eat Mindfully? By Michelle May, M.D. Get Off of the Tightrope and Onto the Path! Latest Am I Hungry? Newsletter Published Today! Bariatric Surgery: It's STILL Not About the Food! Stop! Don't Pull that Trigger! Can Mindful Eating Really Lead to Weight Loss (and does it matter)? Eating 2010: Rollercoaster or GPS? Would You Allow Someone to Buy You Off with Food? WHEN YOU LOVE WHAT YOU DO, YOU'LL NEVER EXERCISE A DAY IN YOUR LIFE! All content on this site © 2019 Michelle May, M.D. All rights reserved. Questions / Comments / Suggestions? Click here to contact us. Ryan Heinrick MD of Heinrick Designs.